Northern interventions into African countries at war are dominated by security concerns, bolstered by claims of shared returns and reinforcing processes of development and security. As global security and human security became prominent in development policy, Congo was wracked by violent rule, pillage, internal fighting, and invasion. In 2002, the Global and All-Inclusive Peace was promoted by northern donors, placing a formal peace on the mass of informalised wars. 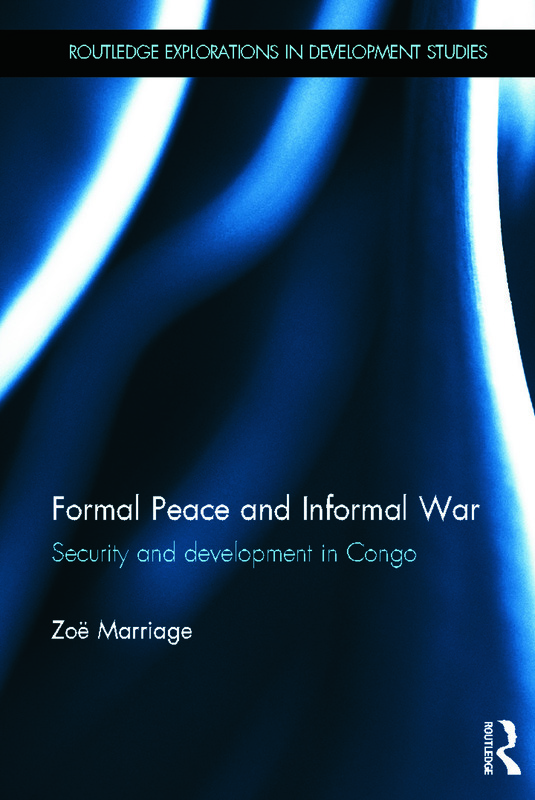 Formal Peace and Informal War: Security and Development in Congo examines how the security interests of the Congolese population have interacted with those of northern donors. It explores Congo’s contemporary wars and the peace agreed on in 2002 from a security perspective and challenges the asserted commonality of the liberal interventions made by northern donors. It finds that the peace framed the multiple conflicts in Congo as a civil war and engineered a power-sharing agreement between elite belligerents. The book argues that the population were politically and economically excluded from the peace and have been subjected to control and containment when their security rests with power and freedom. Zoë Marriage is Senior Lecturer in the Development Studies Department of the School of Oriental and African Studies (SOAS), University of London where she teaches on Security. She has researched extensively in countries affected by conflict in Africa.